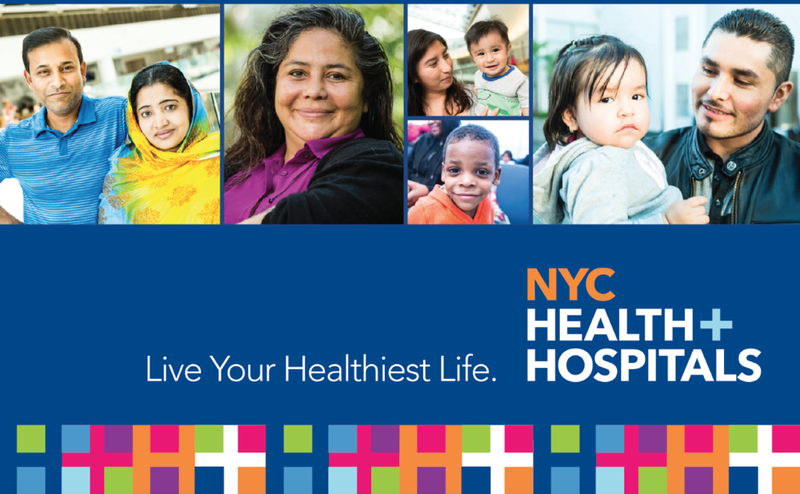 From 2013-2018, I was the Assistant Director of Communications and Marketing at NYC Health + Hospitals. 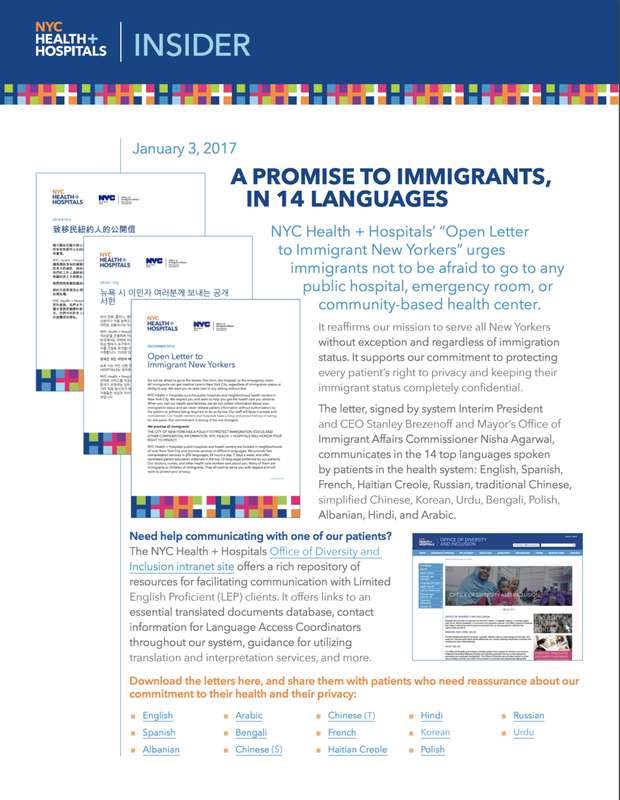 I worked to improve patient care and the patient experience at New York's municipal health care system using design and plain language communication. For more information on the rebranding process, please read my CUNY/Hunter College School of Public Health MPH thesis: Rebranding NYC's Public Health Care System. 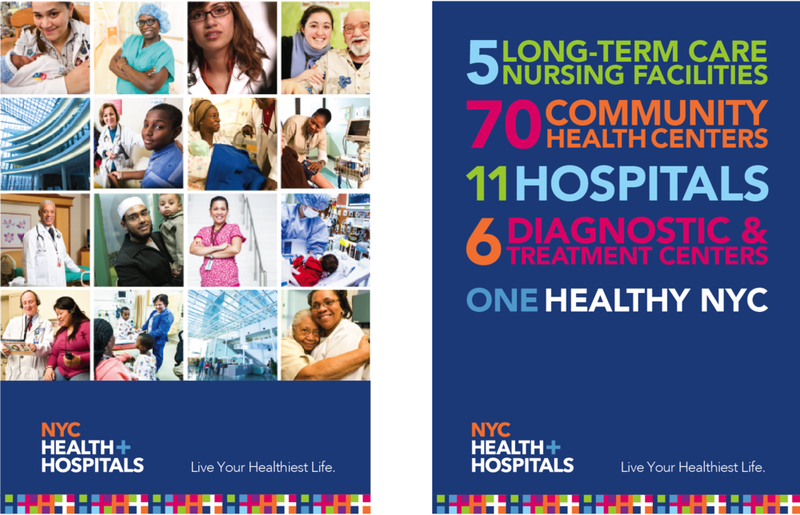 My design work at NYC Health + Hospitals focused on creating a single identity for the system, and improving the lives of its patients. 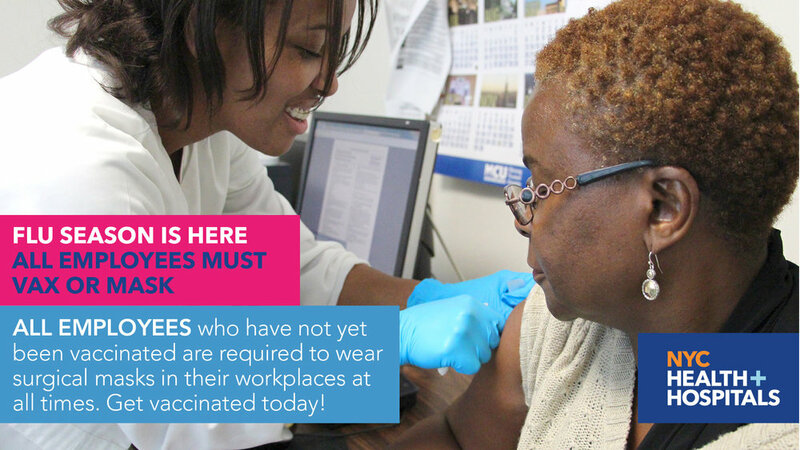 NYC Health + Hospitals has incredible communications needs and very few design professionals. 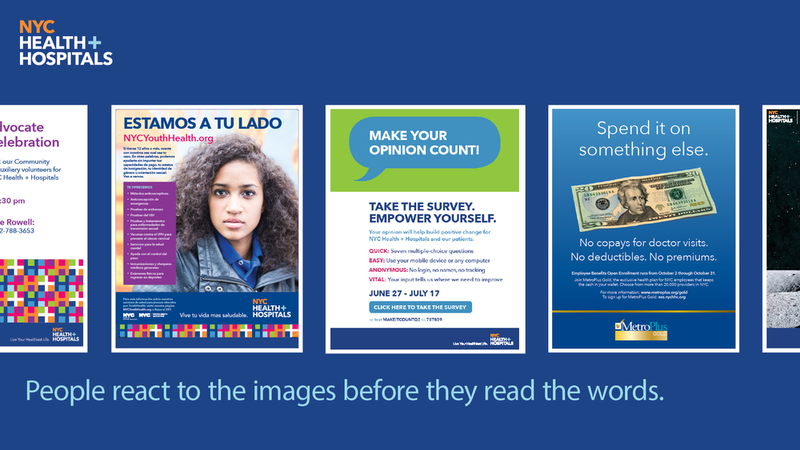 In order to maintain brand standards throughout the organization, I created templates in Acrobat, Indesign, Powerpoint, and Word that could be used by facility clinicians and staff. 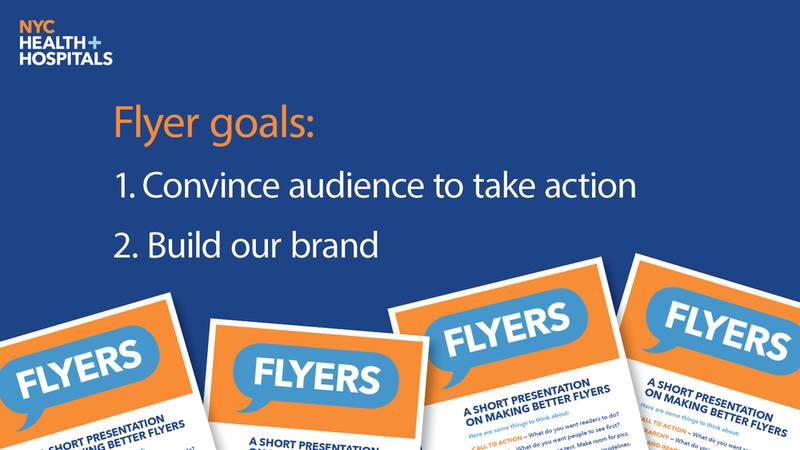 I also gave periodic design presentations to staff from each facility on subjects including: brand standards, photography, flyers, newsletters, social media posts, and more. I kept presentations short and not too complex. It seems like simple advice, but I think about it every time I begin a design project. The image at left is part of a "before and after" series. That's my son (born September 30, 2017). 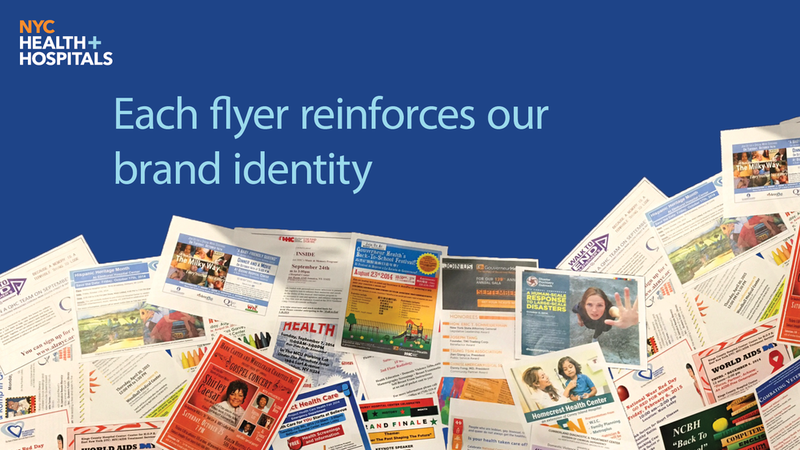 I use the image of a huge pile of unbranded flyers to talk about our design efforts as a whole. I have created templates in Word and Indesign to help maintain design standards across the system. 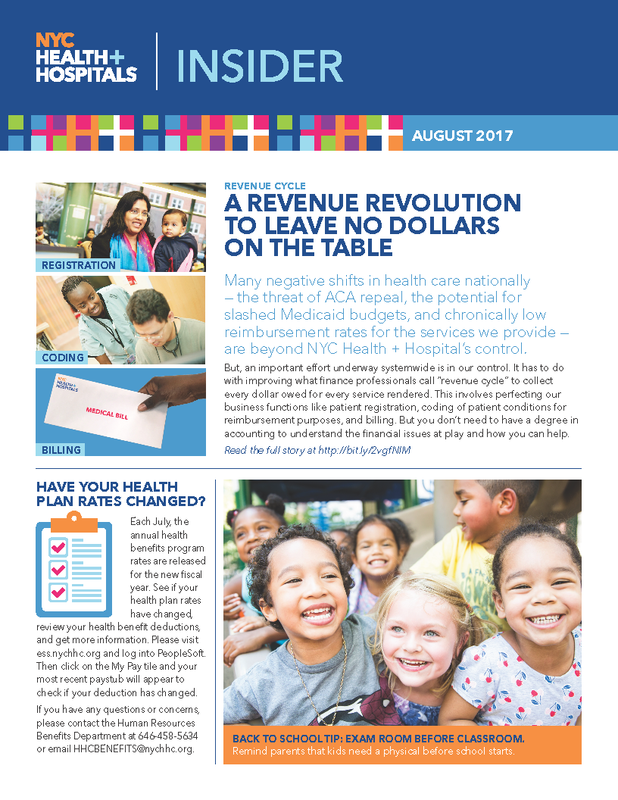 Click on the images below to open a few examples of longer documents I designed for NYC Health + Hospitals. 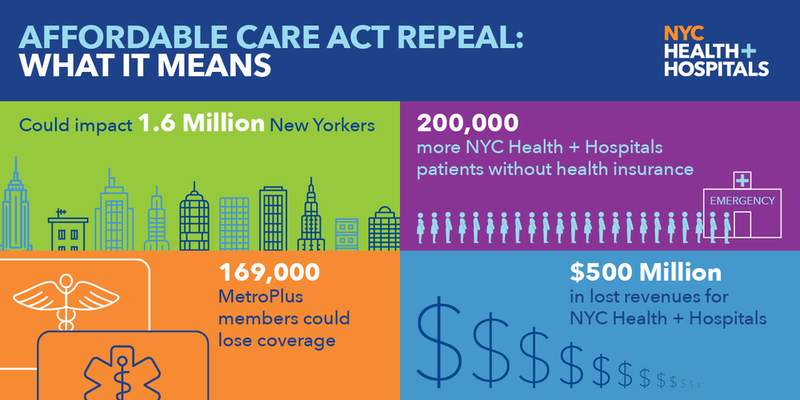 As NYC Health + Hospitals has moved from the safety net, default hospital for the uninsured to a player in the competitive market for patients with Medicaid, Medicare, and private insurance, external communications have taken on a greater role. 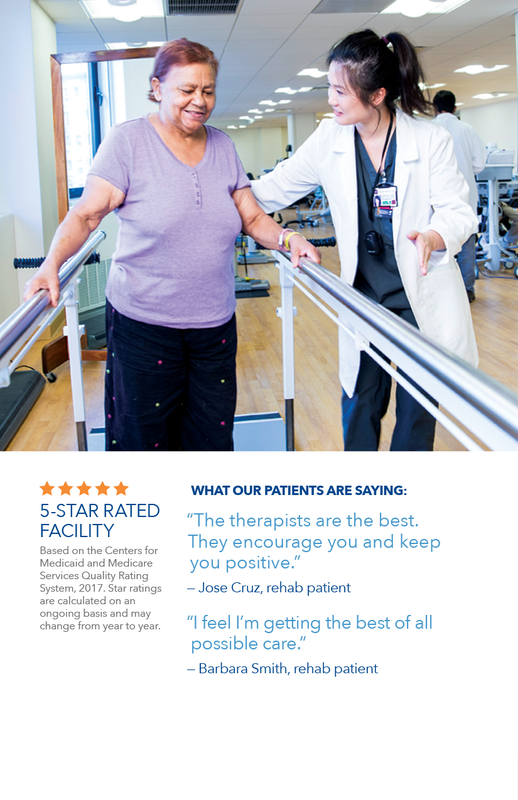 Here are a few examples of brochures I made to market NYC Health + Hospitals services and facilities. 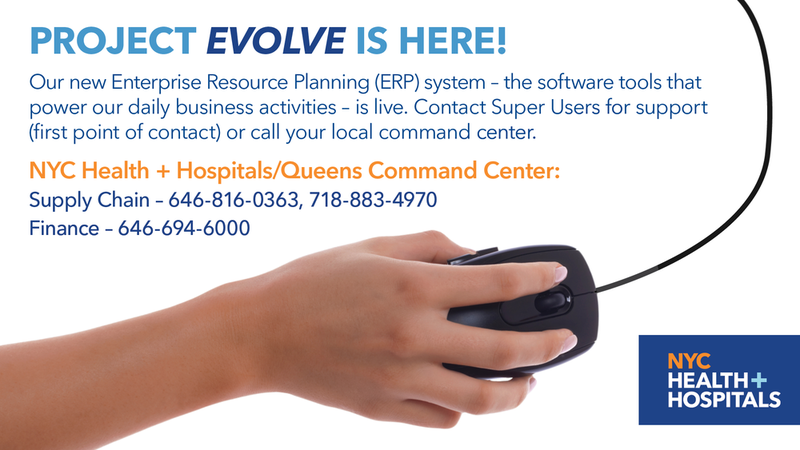 When I started at NYC Health + Hospitals, digital signage and computer screensavers were controlled by the IT departments at each facility. I successfully lobbied to take control of all screens and implement targeted publishing by location. 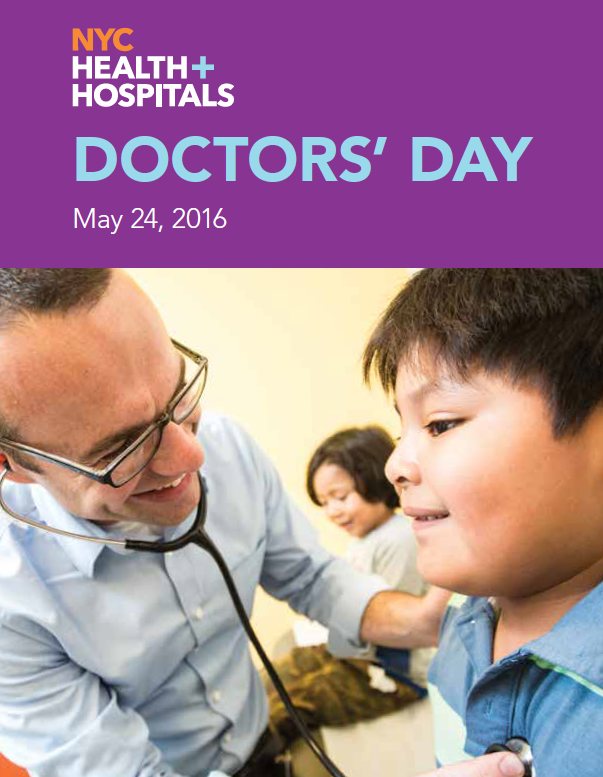 Some announcements were published in staff only areas, while others were aimed at patients and visitors. When designing for social media, I made images that reinforced the system's brand, were easily share-able, and did not rely heavily on text. 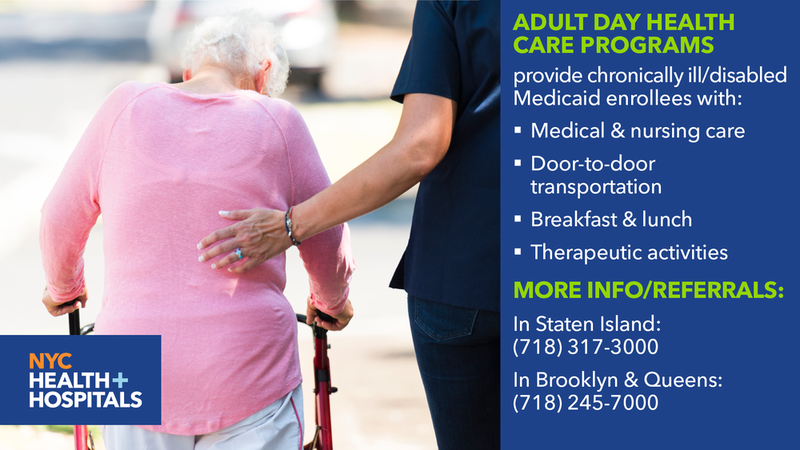 The captions for these images on Facebook, Instagram, and Twitter generally included a call to action and linked to appointment or campaign pages on nychealthandhospitals.org. 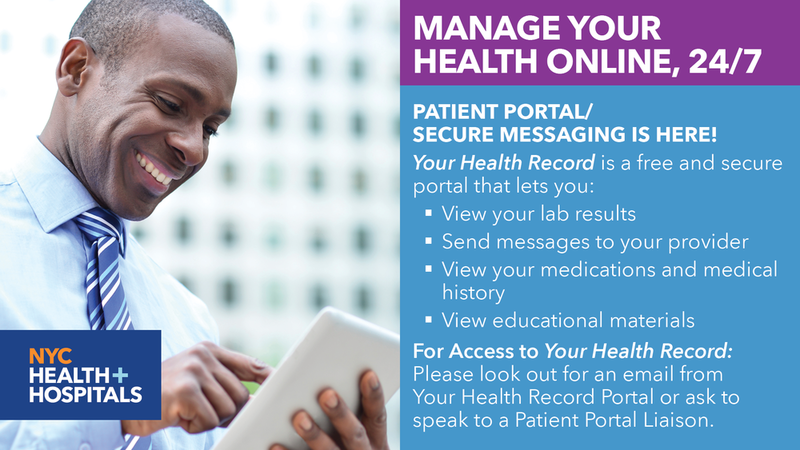 While NYC Health + Hospitals has a robust web presence, the most effective way of getting information to patients continues to be through personal interaction. 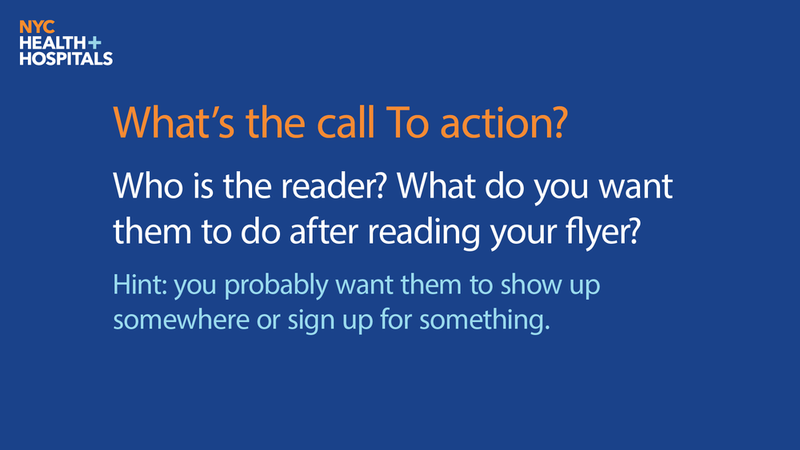 Flyers act as a prop, allowing non-provider staff members to approach patients directly. 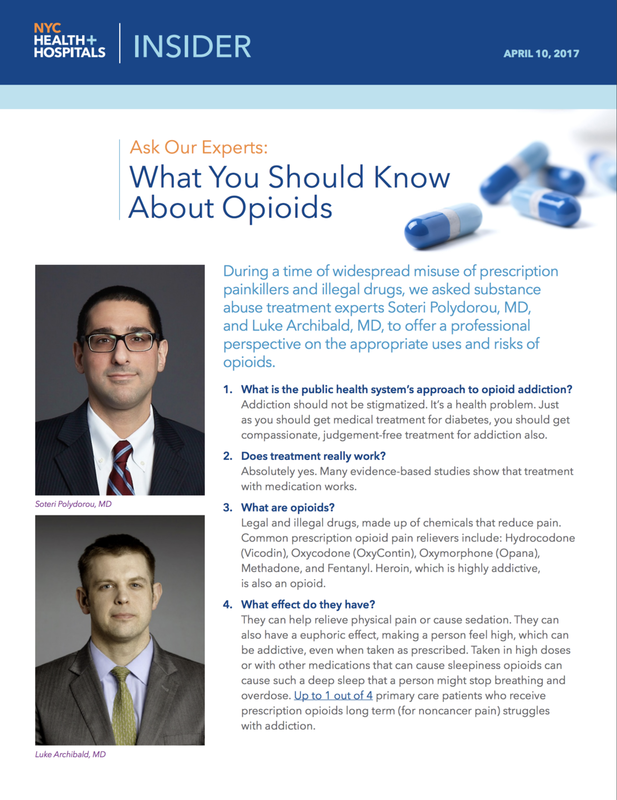 Here are a few of the hundreds of posters and informational items I designed while at NYC Health + Hospitals. 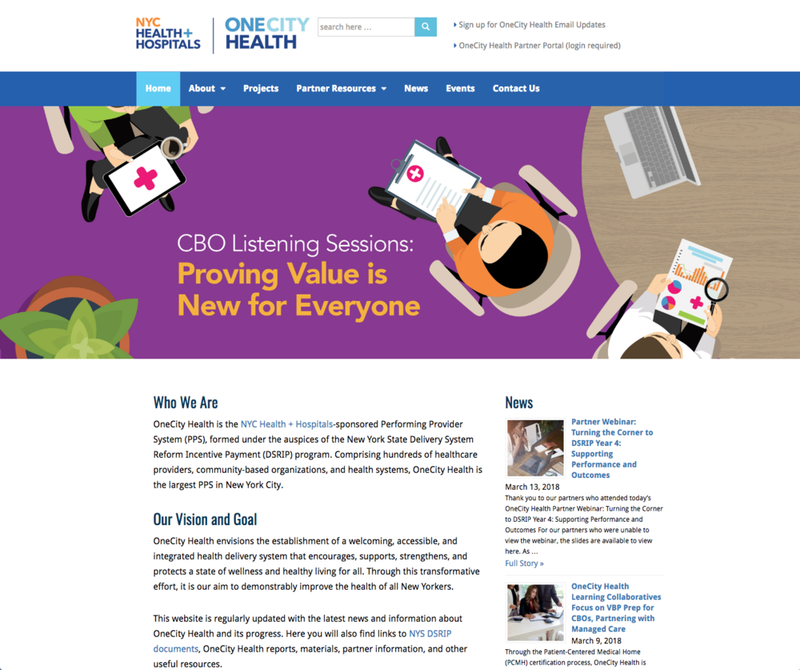 onecityhealth.org - I created mockups and wireframe designs for the look and layout of this site and worked with a vendor to produce the final version in Wordpress. nychealthandhospitals.org - I sourced all images for this site and worked with the Communications and Marketing team to design the layout and functionalities. The final site was produced in Wordpress. 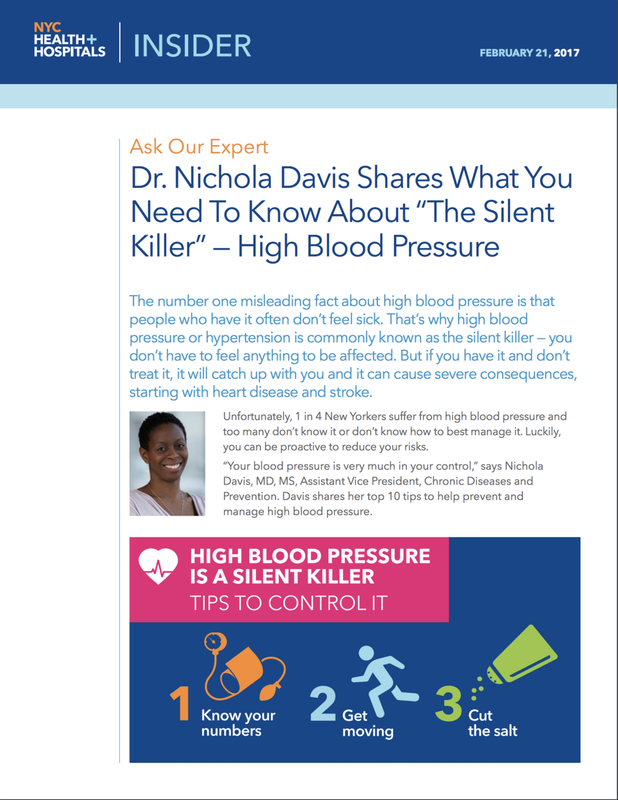 nycyouthhealth.org - I created the look of the site, and designed site elements in Photosohp, InDesign, and Illustrator. Once assets were complete and approved by the client department, I worked with in-house IT staff to code the site using HTML/CSS. I worked with the system's director of Internal Communications, and IT department to populate, maintain, and expand a system-wide intranet, updated daily with interviews, photos, slideshows and news items from across the system. Working with the communications team, I designed feature articles and solicited additional content from facility staff. 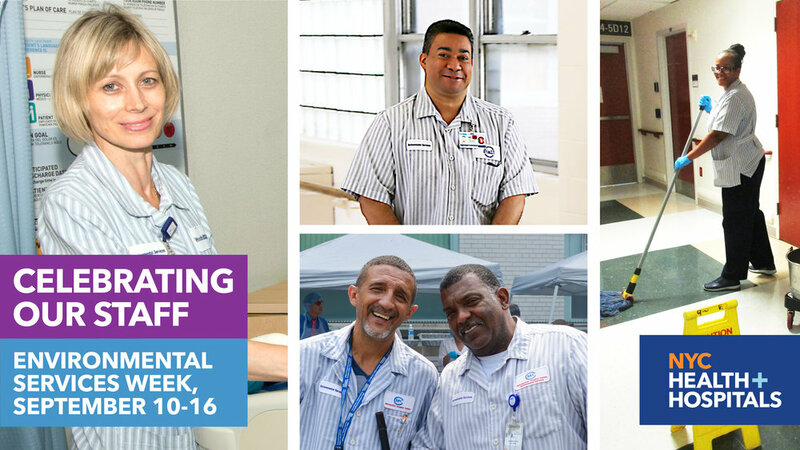 Many of the system's 45,000 employees have jobs that do not require email use (housekeepers, facility maintenance staff, and even nurses). In order to reach these staff members, I worked with staff writers to produce at least three pdf news articles per week to be posted online and distributed in print. I also created templates for department and facility-specific newsletters and assisted hospital staff with the design and writing process. While at NYC Health + Hospitals, I created a wayfinding system for the 2,700 employee Central Office division. The system included templates for individual name plates, corporate identity signage, and wayfinding maps. At NYC Health + Hospitals I edited the copy on nearly document I designed. I also was the writer and project manager for many of the articles, brochures, journal ads, instruction sheets and other items we produced. Here are a few samples.